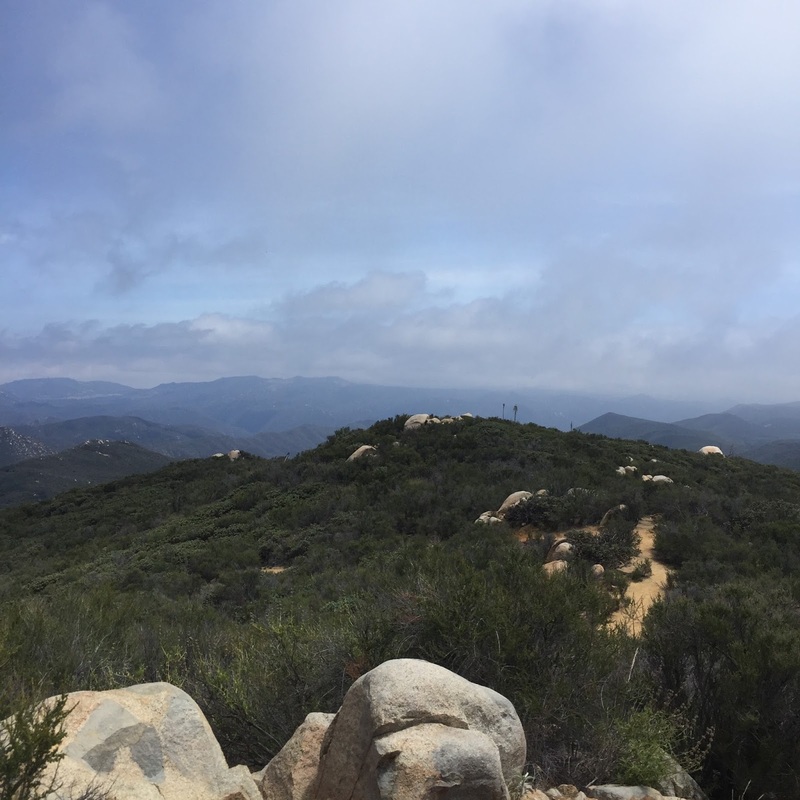 On memorial day, Brian and I went out and hiked to the top of Sitton Peak in the Cleveland National Forest. For a detail trail write-up on Sitton Peak, click Here. In our opinion, the hike to Sitton Peak NEVER gets old! Every time we visit Sitton Peak, we are rewarded with amazing views. Obviously, the clearer the weather is, the better the views are from up there. 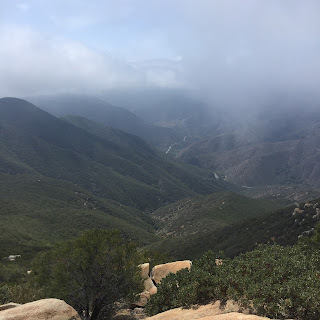 This memorial day hike was really cool, because Brian and I watched the clouds/marine layer roll in over the hills during our drive out to the trailhead. From our car, we were thinking that it would likely misting during our our hike because the peak looked like it was just floating in a cloud. We started our hike by the coveted Candy Store (it's a MUST every time we hike), just off of Ortega Highway. We proceeded up the Bear Canyon trail and saw the beautiful spring flowers that were aligning the trail, which is typical during the spring in this area. Conditions on the hiking trail were just right. We had a good deal of cloud cover for the majority of our hike, with the sun playing peek-a-boo during most of the hike. It was also pretty breezy this day as well, which is nice as you make your way upwards on the trail. The breeze was nice to keep the bugs away. After about 3 miles of straight hiking, Brian and I arrived at Four Corners and the decided to kept going to the summit with out our usual stop at the Four Corners area. I think this hike was one of our faster records, for our time to the top of Sitton Peak. We reached the summit in about an hour and a half. The hike is an out and back hike that is 10.3 miles with the loop and has 2,200 feet of elevation gain. I really wanted to take a moment to pay tribute to the lives lost by our service members who laid down their lives for the freedoms we enjoy. 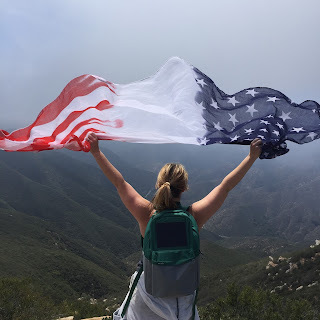 I had a scarf that looks like an American flag, so I brought that with me on the hike and Brian took some photographs of the flag being raised above the hilltops of Southern California. 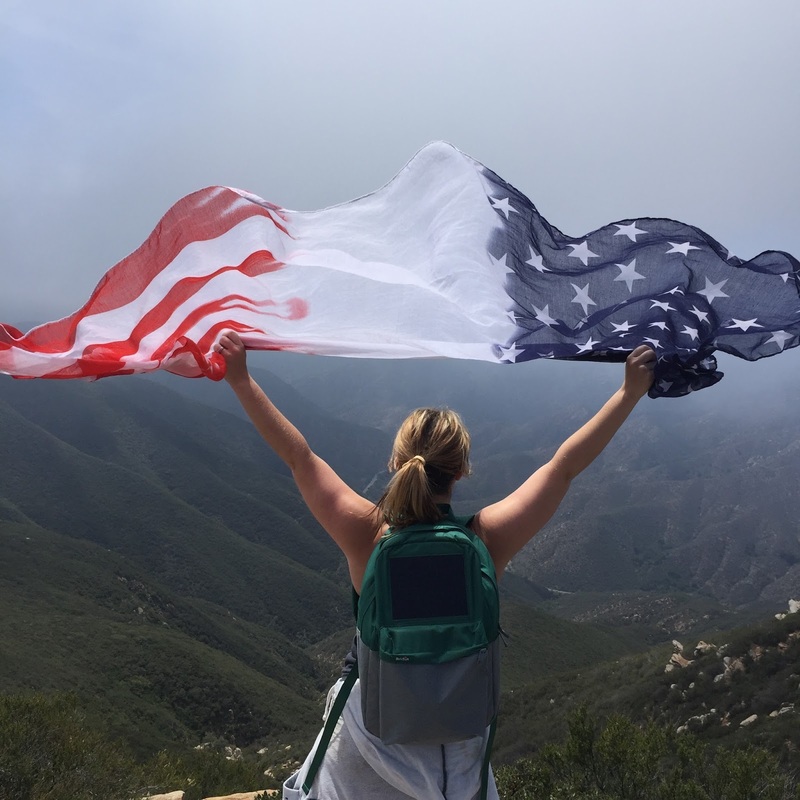 After all, we would not be hiking if it weren't for the men and women who fought for us. We are forever grateful, and continue to be grateful for the men and women who currently serve and have served. As Brian and I finished our time on the summit (which we had all to ourselves) we reflected on how many times we have done this hike. Between the two of us, it's been over 20 times. 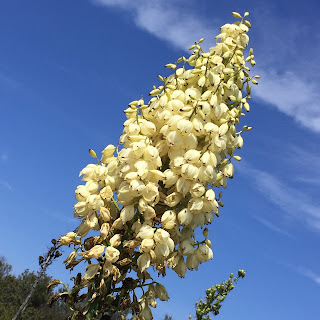 I love the lizards, the hummingbirds, tarantulas, deer, turkey vultures, and the wild flowers that we've seen while doing this hike over the years. This hike is my favorite local hike near Orange County. The hike may be steep, going up that last little bit to the summit, but it's so worth it. If you get the chance to hike this peak on a foggy/cloudy day, do it. When you are at the summit, it feels like you are flying among the clouds. There is something cleansing to the soul when the breeze comes over you after hiking uphill for an hour. Brian and I have always recommended this as a good hike for those in Southern California to do! My brother & I just did this yesterday! We've done it about 7 times and it never, ever gets old, love it every time!